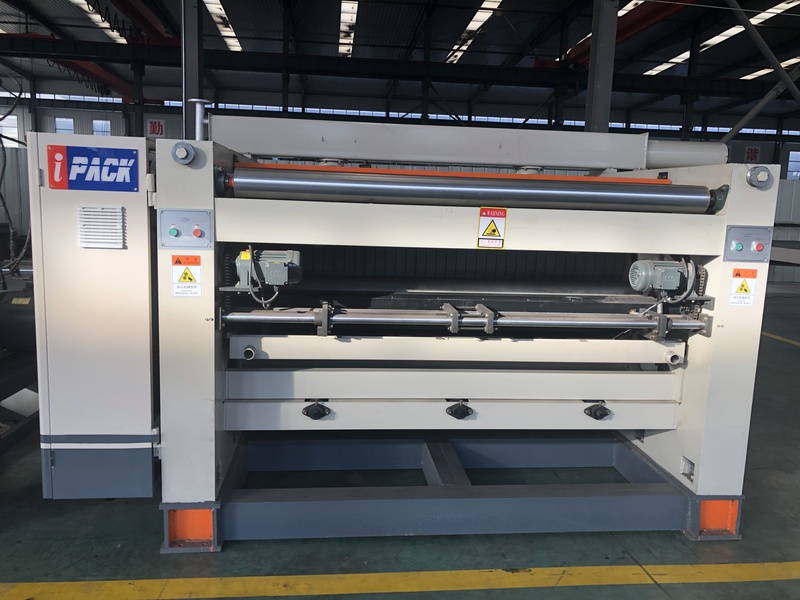 1.Adopt suction hood structure,with strong high pressure blower.Suction with a silencer,air source and electrical control focus on the same operation counter,away from the motor is not less than 1.5m，operating side is closed full cover. 2.The base and wallboard are cast iron structure, the thickness of wallboard is 200mm. 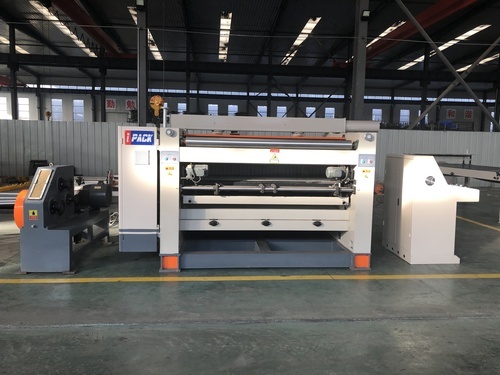 3.Adopt steam spray device to adjust the core paper moisture. 4.Frequency conversion motor as main drive,independent gear box connect with three gimbal axis; Gear adopt oil bath lubricating ; Inverter to make stepless speed regulation. 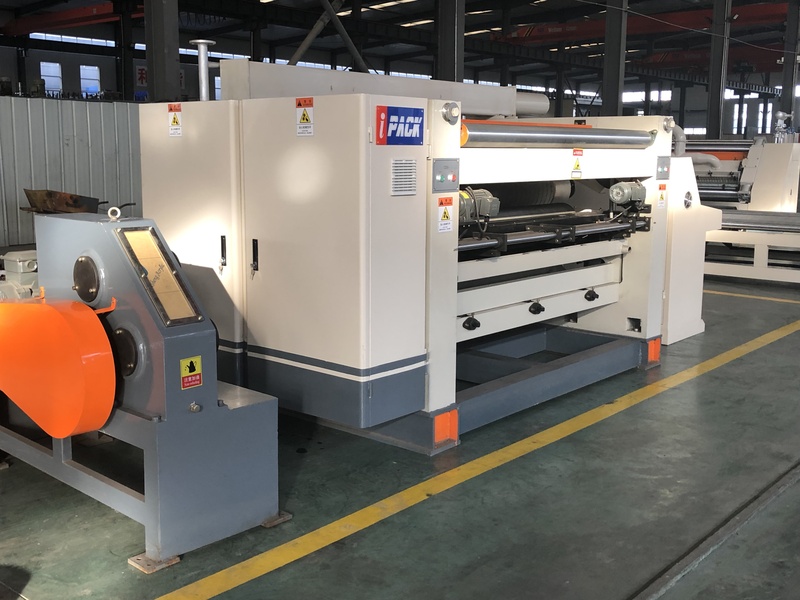 5.The upper and lower corrugated roller is made of 48 CrMo alloy steel, with heat treatment.The surface is well treated by grind and tungsten carbide,the hardness is above HV1200. 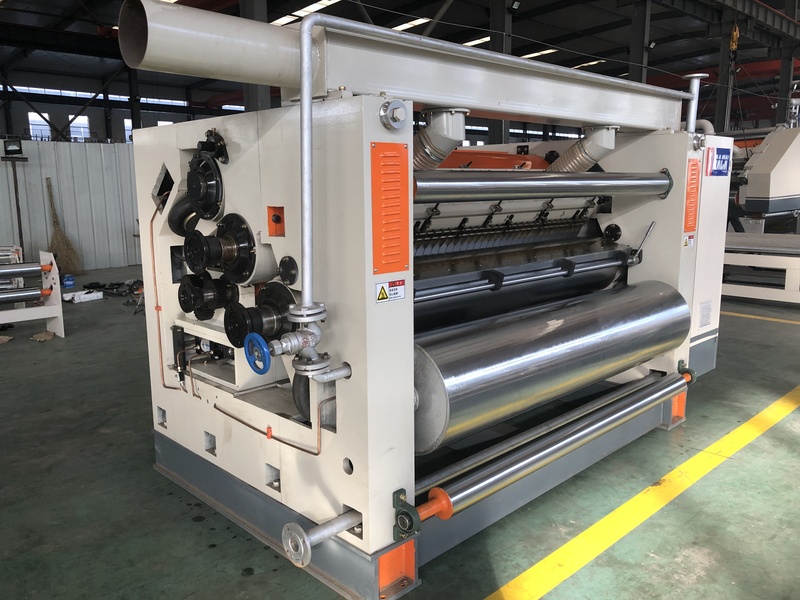 6.Upper and lower corrugated roller are unit assemblage, the whole corrugated rollers group can be move and quick replacement,to change flute type quickly. 7.Bearing for corrugated rollers and pressure roller adopt high-temperature lubricating grease to keep running smoothly and durably. 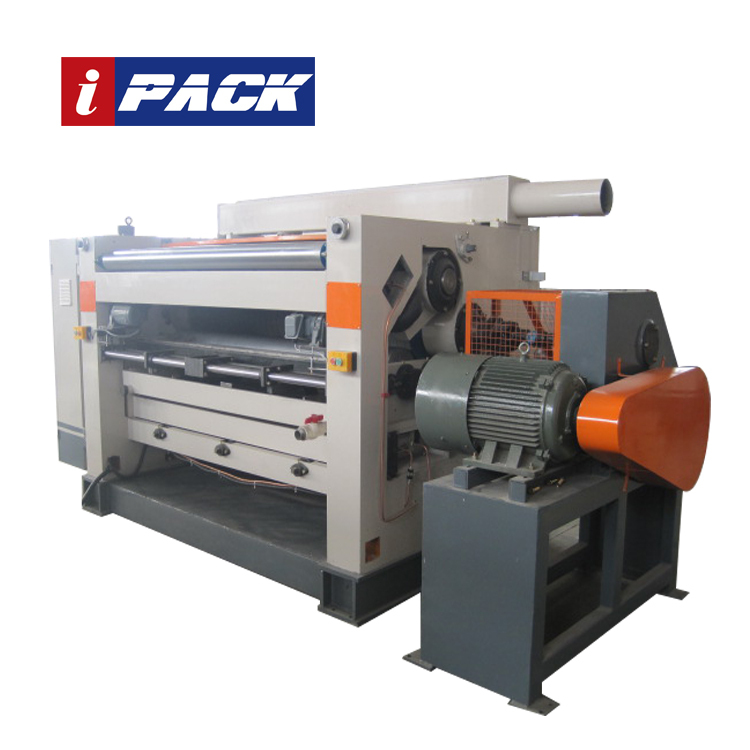 8.Corrugated roller, pressure roller and glue roller is adjusted by pneumatic system with high stability. 9.Glue section are unit assemblage, whole section can be moved by track, save maintenance time. 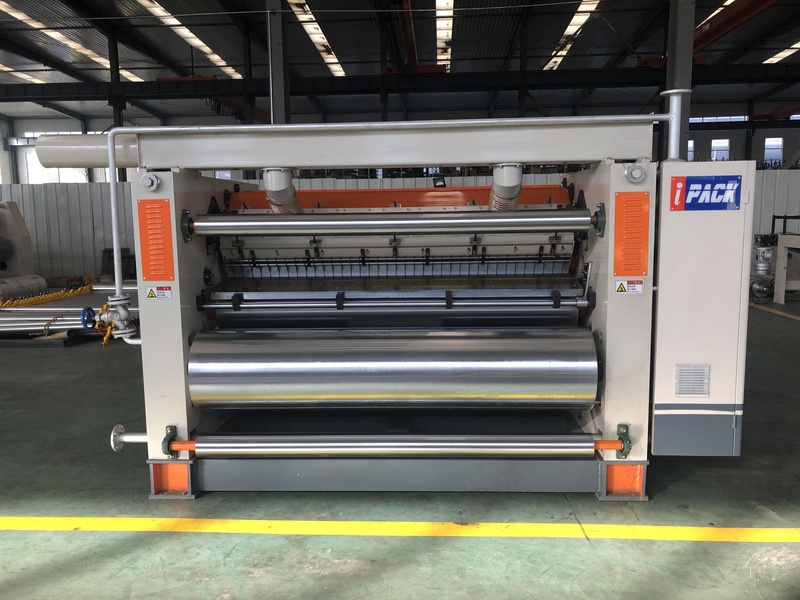 10.The glue roller surface are treated by special mesh embossed and chrome plated. 11.Supply glue automatically and circularly. 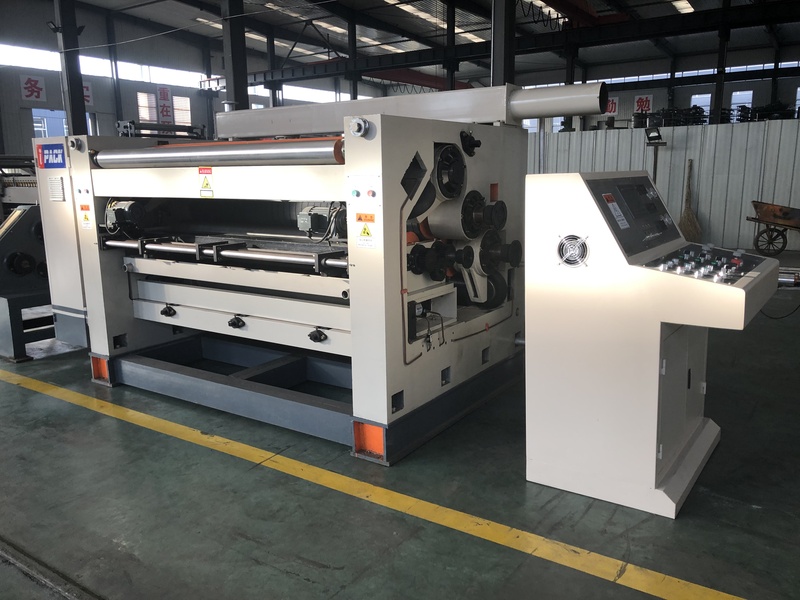 12.Glue volume control with electric adjustment;Gap between glue roller and doctor roller is adjusted by electric.and that will be read out by Digital ;Glue width can be controlled by electric. 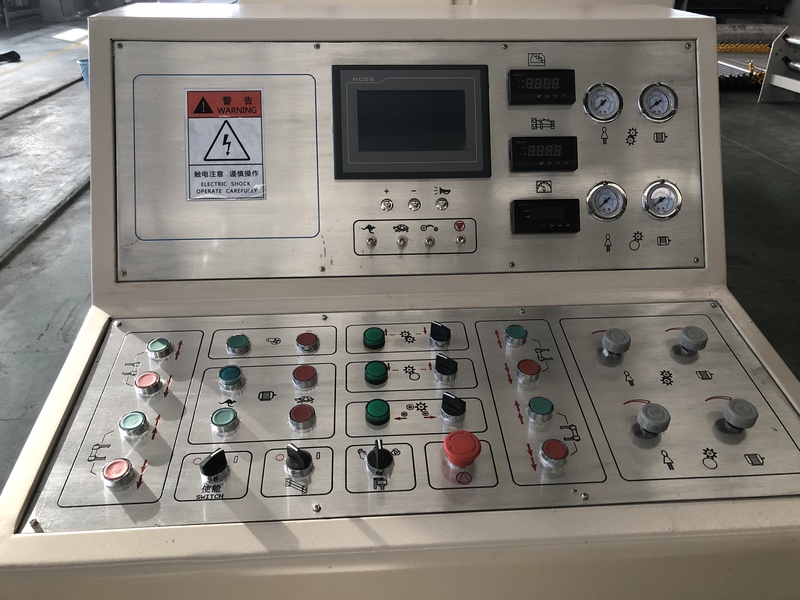 14.Easy operation control system:touch screen,human-machine interface,Drawing with color display,function selection,fault indication, and parameter settings.